The books of The Orphan Trilogy take place in a variety of exotic locales such as Greenland, the Philippines, the Congo and China. Why did you choose Chicago, a city with blue-collar roots in America's heartland, as the site of the Pedemont Orphanage, the place where it all began? Even though the orphans in our series were genetically engineered by an extremely wealthy organization, their masters want them to develop "everyman" qualities in order for them to eventually be able to integrate with wherever they go. 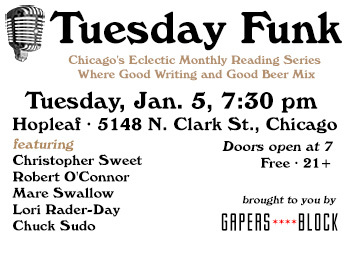 Being a working-class city, Chicago seemed like the ideal location as soon as we started writing the trilogy. It's also a city where the history is evident and the ghosts of earlier generations can be felt almost everywhere -- generations who built the city brick by brick and through blood, sweat and tears. It's not Los Angeles or Las Vegas or Miami. In fact, it's the antithesis of those cities in many ways. Chicago always struck me as a more traditional American city where hard work is respected more than anything else. The folks I have met from Chicago and Illinois in general seem to me to be people who aim to do things well and with integrity. And those are precisely the values that the head of the Pedemont Orphanage, Tommy Kentbridge, wants to instil in the orphans for them to become the ultimate spies. What's your relationship to Chicago? What kind of research did you conduct to create a snapshot of Chicago in the 1970s? I visited Chicago on my travels not long after leaving high school in the late 1990s. I remember arriving via Amtrak at Chicago's Union Station at about three a.m. and waiting in the Loop for the sun to rise. I remember seeing the city slowly awaken and then swarms of people arriving for a new day's work. This experience remained vivid in my mind for some reason, and it inspired a sequence in The Orphan Factory (book two in the series) where Nine, our lead character, is running through the city center at dawn. Being a New Zealander, so much of America was foreign to me at first, but Chicago instantly felt familiar and friendly. The Orphan Trilogy shows us that institutions are not necessarily to be trusted, while Number Nine's individualism is the key to his freedom. Which institutions, organizations and events in particular inspired this view, and who are some individuals you admire for pursuing freedom at any cost? A combination of things inspired The Orphan Trilogy. Certain events like the bailout of corporations ahead of regular citizens during the global financial crisis and the invasion of vulnerable mineral-rich countries post-9/11, certainly influenced our writing. In recent times, more and more citizens seem to be sensing there must be authorities within governments that are not "for the people," but actually against the people. More than anything else, we believe that's why our series is proving to be popular and is establishing a loyal fan base of readers worldwide. 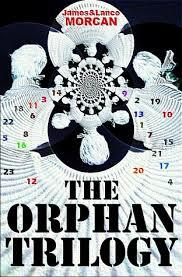 The trilogy's first novel, The Ninth Orphan, is being developed as a feature film. Any chance that you will shoot on location in Chicago? Which actor would you like to see cast as Number Nine? The Ninth Orphan film adaptation will be shot partly in Chicago and Illinois. Other locations will include Paris, Beijing, London and Manila. We have the perfect actor in mind for the lead role, but as we are also film producers, we learned long ago never to mention an actor's name until negotiations are complete. Sorry if that sounds evasive...I guess the film industry and spy fields have much in common! The orphans are endowed with some amazing genetically enhanced abilities. If you could give yourself such an ability, what would it be? Mentally speaking, speed-reading would be handy, as would being able to speak a large number of languages. Physically, I'd love to be a martial arts genius like the orphans are. As we mention in the novels, though, their advanced DNA is only one side of the equation, and these orphans are certainly not super heroes or anything like that. That's just the "nature" side. There is also the "nurture" side, which is where their comprehensive education comes in. Having gone through the traditional education system and finding it laborious and uninspiring, it was fun to write about a more accelerated form of education inside the Pedemont Orphanage.